Hon. 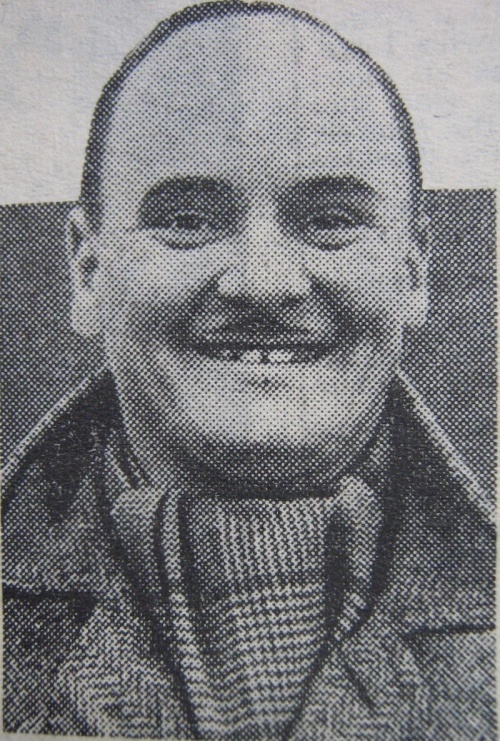 Secretary of the very successful Quorn club for the past four years, JACK FIELD was player-secretary of the club between 1933 and 1936. He then moved to the then successful county amateurs, Leicester Nomads, when they had the lease of Brown's Lane. He soon became skipper. Prominent in several RAF representative games during the war, Jack returned to Quorn on demob. He only gave up his active playing career a season ago. It's pleasant to start these interviews by asking about the happiest moment in a man's career. I followed the pattern with Jack. Said he: "I've had many. But my most unusual moment takes me to a very late hour one night at the end of May, 1951. A committee member knocked me up to tell me College had made a 2-2 draw with Measham. I whooped with joy." College could have pipped Quorn on the post for the division one championship of the Senior League by dint of a superior goal average had they got both those points, as they had been expected to do. The draw meant that Quorn were division two champs and division one champs in successive seasons. "Believe me I hardly slept a wink that night," adds Jack "with excitement and pride." Now for an amusing moment. "We were trooping out to play Town at Coalville a few seasons ago when a perky little urchin behind one of the goals yelled out: "I told you it was Quorn. See, there's that bald-headed bloke again". Jack laughs now at his most embarrassing memory but there's no doubt it caused him no amusement at the time, 20 years ago. His employers had allowed him Easter Tuesday morning off to play in a County Medals final at Kegworth. He had to be back at his job in Leicester at 1.30. At the end of the game he had threequarters of an hour left to do it in. With the help of a motor cycle and a car he rushed into his office as the clock struct the half hour. "I dashed to the toilets to complete my change, and then discovered I'd left my shoes and socks at Kegworth! Imagine how I felt all afternoon when I had to "plonk!" around the office in my football boots, and then through Leicester at night to catch my bus". And how's this for a real frustrating moment? "In the closing stages of our FA Amateur Senior Cup match with Cambridge in 1937 I pushed a lovely pass from which our centre forward scored the winning goal. But I didn't see it as I had been tackled and the resultant fall meant a badly dislocated shoulder. The semi-final against Harwich and Parkstone came at Barnet three weeks later. Every day of those three weeks I went for treatment at the City ground. The great day came and I was pronounced fit. Imagine my feelings then, when after only five minutes my darned shoulder went again and I was carried off. I didn't know where to put myself when the lads came in at half time. They finally lost 4-1." His ambition? "To see sport in the village of Quorn remain well to the fore, and for Quorn FC to have their very own ground.."
One last memory: "I am very proud that in all my 21 years playing experience I could not have been pulled up for more than a dozen fouls altogether."